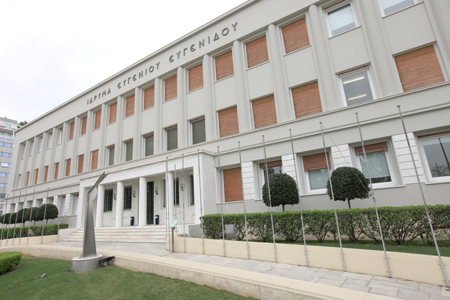 From 1 – 4 September, Medsquare will be participating in the 1st European Congress of Medical Physics (ECMP) at the Eugenides Foundation in Athens. Organized by the EFOMP (European Federation of Organisations for Medical Physics), the ECMP is one of the most important medical meetings in Europe for medical physicists. More than 600 visitors are expected to gather this year to discuss their practices and the latest technologies. They will have the opportunity to attend conference sessions on hot topics such as: Implementation of the new EU BSS (European Basic Safety Standards), Dosimetry in Imaging, Diagnostic Reference Levels (DRLs), and interventional procedures including dose optimization strategies. For this 1st edition, Medsquare will be present at the booth of its partner Raymed, a company strengthened with medical physicists with extensive experience in sales and support of measurement systems and quality assurance in Radiology, Nuclear Medicine and Radiotherapy. This year’s event, we will offer all participants full demonstrations of our Radiation Dose Monitor (RDM) solution. Our application engineer will also be available to present RDM’s latest features. Moreover, RDM is the solution that perfectly meets the requirements of the European directive (EURATOM 2013/59), and the solution is now considered to be the cornerstone in establishing a Quality Management System. 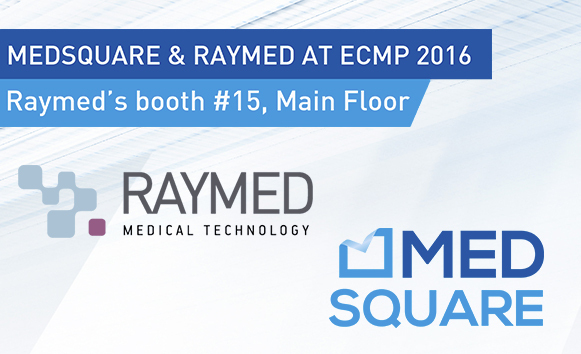 Join Medsquare at ECMP 2016 at Raymed’s booth #15 to discover the Radiation Dose Monitor (RDM) solution’s latest features.